This painting is the Sphere of art, representing the the three zeros as they interact to create a precise point of space/time which is removed from the rest. This is something I've been working with since I first started reading William Gray's work. R. J. was an actual student of Gray and has taken the concept and extended it further in his own way and I've found it to be very helpful in my work. 9-27-13 Since Eros brought up that we'd focus on focus in movement, I've been paying more attention to everything I'm doing from exercising and eating to writing and business. By consciously focusing on what I'm doing or how I'm doing it, I've been able to more consciously interact with the movements of everything I'm doing. I've also been continuing to study movement, especially the movements that occur in any given situation. What I've observed is that everything is in motion and yet the motion creates stillness as well. The stillness is the realization of movement, which nonetheless also leads into more movement, which is potential stillness. 9-28-13 I'm taking part 1 of the Oak, Ash, and Thorn workshop that R. J. Stewart offers. It's been a good experience so far, and one where I'm getting a lot from the workshop. I've been given two symbols that relate to my current work. I've also been mediating about tress and how the roots of a tree extend to the underworld, while the branches of the tree extend to the celestial world and the trunk mediates the mixture of under and over world energy in order to manifest reality. What's fascinating is that the meditations have given me some really interesting ideas about where to take some of the movement work. I'm looking forward to seeing what day 2 brings. 10-2-13 It's been a few days since the workshop with RJ wrapped up. Today I made an offering to Hawthorn. I drove out to a place where I'd found Hawthorn leaves and did a brief prayer of thanks and then made the appropriate offering. I felt a brief sense of acceptance and that was that. I'll start work with the next tree tomorrow in my meditations. 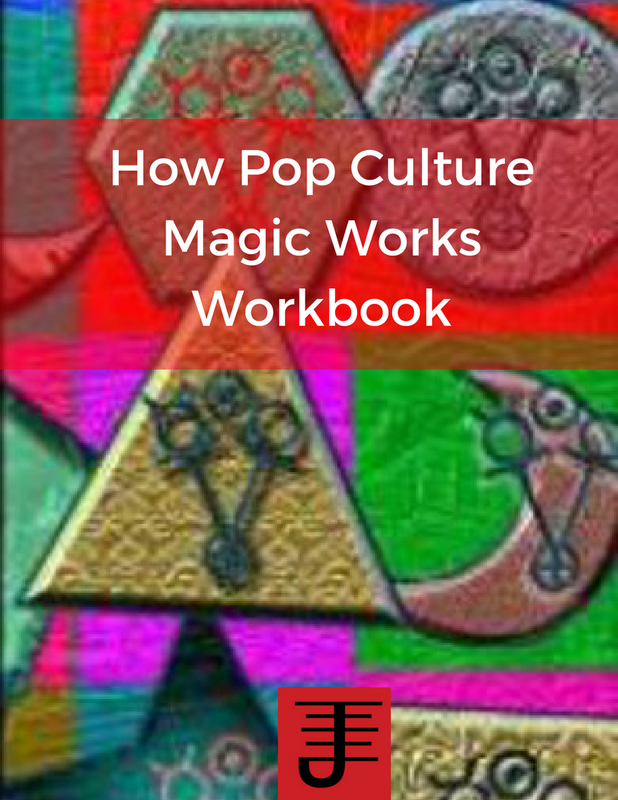 As for the second day of the workshop...I got an idea for pop culture magic 2.0 based on a discussion RJ had about iconotropism, which basically involves the understanding of how icons evolve as cultures bring new tropes to them. We also got into a discussion about mediation and its role in magic. Having RJ's works I felt like the discussion shed further light on what mediation is as a principle of magic and how important it is to be open to being moved by what you work with, while also being able to mediate that for other people and even yourself. I also ended up connecting with Puck as an entity, to the point that I ended up mediating him as well as connecting with another entity, of which I wrote a poem/invocation. What interests me the most about Puck is that he's a gatekeeper of the cross roads, a door opener, which is something I intimately relate to in my own work. I found it even more interesting to realize that all of the entities/deities I work with on a prolonged basis also mediate energies of the cross roads, and I've also thought of myself as an opener of the ways (as well as having others indicate that about me as well). I got a third symbol and I need to spend some time working with these symbols. Beyond all that I've been contemplating focus and its place or lack thereof in my life. I actually recognize that in some ways I have been very unfocused. That might sound odd to some people, but when I consider the last decade of my life, I see a lot of wandering, a lot of drifting. I'm okay with that because I needed it, but I'm also ready for it to end, and I've been giving a lot of thought to what I can be great at and how that can focus my efforts in whatever I'm doing. 10-3-13 I finished reading Good to Great last night and I woke up early this morning with a profound realization: I need to be great at what I'm called to do and what I'm called to do isn't the business coaching. What I'm called to do is the spiritual work, the writing, the classes, the coaching that I can offer through that particular medium. I've felt so scattered, so unfocused because I've tried to do too many things at the same time and because I've bought into limiting beliefs and fears about being an occult author and pursuing this work full time. Some of those limiting beliefs are my own, formed when I first started writing and felt that as an occult writer I'd never be able to make a living from it (obviously there are writers who can and have done it by offering more than just writing). But some of it also comes from other people who applied their own fears to me or showed me in one form or another that they felt I was a burden or a drain and that they didn't really believe in what I could do. The thing is I've lurched from business to business, trying to find something that makes me want to get up and get started with my day, and as I've done this I've learned certain lessons. I've learned that I prefer to be self-employed. I've also learned that I love working with people. And now I'm really taking to heart something a coach of mine said to me: You can't two chase two rabbits at the same time. I've been chasing two rabbits at the same time for a while now. I've got a publishing business I help run, I've got my writing and spiritual work, and I've got the business coaching, but what I've also got is a split in focus with not much getting done at all. I haven't really given myself over to any one thing. I can't give up my writing or the magic. It's what I live, love, breathe, etc. It's my life, my work, my everything. And the publishing is part of that work, part of the spiritual calling I have, part of something I need to do for the sake of what that publishing represents. But the business coaching is something else. I like it and I'm good at it, but it doesn't call to me in the same way. It never has. It's also a giant time commitment. The amount of networking I do alone eats up so much time that a lot of days I don't feel like writing. I'm peopled out and just want to recharge. I woke up this morning and I answered this question of what I can be great at, what I know I''m great at. I told Kat about it, laying it all out, the fears, the realizations, everything and she said to me: I support you completely. I believe in you completely. I know you are called to do this and I'm willing to support what you want to do. Hearing that and knowing it's true, knowing that what I really feel called to do is supported and believed in. This made me feel good. I'm ready to really pursue what I am called to do. 10-6-13 In my meditation today Bune came to visit and we had a long discussion about money habits. He pointed out that I needed to make some changes in lifestyle and really focus in on the long term vision of where Kat and I want to be. It's easy to get so caught up in now, but he's got a really good point and it really struck home to me, especially as he reviewed how I've handled my business money and made some suggestions on things I could change. After my work with him, I went to the crossroads and discovered that the next tree I need to work with is Oak. There's some interesting ideas I'll share eventually in a separate once I've connected with all the trees. 10-7-13 I'm reading Make Magic of your Life by T. Thorn Coyle. She makes an interesting about obsession and how it consumes you. My own experiences with obsession certainly validate that perception of it, whereas she considers desire to be something that runs deeps and speaks to what we really want. Working with desire is uncovering what we really want and making it part of our lives, while obsession is running from what we want, getting lost in something, but not being honest about what we really want from it. When I apply this to myself, I see the obsession show up in my relationships and the driving need I've felt to fill up the emptiness within myself. I still feel that on occasion and I'm still figuring out as a result what my desires are and what my obsessions are, but as I've learned to mediate the emptiness and not run from it, its made it easier for me to focus in on doing this internal work and helping me uncover my desires, while also letting the obsessions go. 10-10-13 The past half week has really drawn my awareness to the fact that I am my own worst enemy when it comes to focus. While I manage to get a lot done, I can be fairly scattered in my approach to work and life. I think in some ways I've been scattered because I've been focused on several different directions. That and realizing how much networking I've been doing and how exhausted I am from it. I'm realizing how much of an introvert I am and this in turn has helped me see how much I need to focus my efforts toward my projects and writing over anything else. 10-16-13 Since I last wrote in this entry I've been examining my focus or lack thereof and come to a few conclusions. I've decided to cut back on networking events for the business coaching, and I've also decided to only check e-mail and social media twice a day. Implementing these actions has already made me feel better and more focused than I was before. I'm getting to some of the writing I've been wanting to do and even planning a class for some time in the future. It's funny how certain situations have to come to a flash point where the arrival at such a point forces you to evaluate what you're doing and how you're doing it and provides you a way to make changes that frees up some of the mental and emotional space you were investing elsewhere. 10-18-13 One of the most important lessons I've learned is that acting on impulse can create a lot of problems. Since the realization I had a few weeks ago about what I'm great at, I've really just focused on thinking about what actions to take, which I've written about above, but ultimately I came to the conclusions that tossing the baby out with the bathwater (i.e. stopping business coaching altogether) isn't a good idea. I do like business coaching, and what I realized I really needed was to evaluate my time and refocus on the writing, but still keep the business coaching, because it is a business that is continuing to grow. I've always been an impulsive person and it has rarely served me in a good way. My impulsiveness has seen me make life decisions that I've ultimately regretted because they put me in situations where I ended up more miserable than anything else. So spending some time really thinking about my choices and what I want to do has been really helpful and a useful application of focus. I don't need to be scattered and floundering every which way. I've done enough of that already, but being focused and really being present with a given decision...that's something I'm going to keep doing. 10-19-13 Writing is its own magic, a feeling of flow and creative application that turns into manifestation and action on the part of writer and reader. When I write and I am really into it, it feels like the heart of the universe has opened up to me and revealed its secrets, allowing me to be a medium that in turn shares those secrets with anyone willing to read the words I share. Writing brings me to life in a way that almost nothing else does (only magic makes me feel the same). Writing is a reality in and of itself, an altered state of consciousness and identity that causes the rest of the world to fade away in the clatter of keys and the connection to the creative urge that speaks the words of the universe through me. 10-21-13 It's my birthday. I am 37 today, the age my parents were when I was born. That's a bit mind blowing in and of itself. This last weekend Kat took me to Astoria for as a birthday gift. We visited the Flavel House, Cultural Museum, and the Jail where they filmed the opening scenes of the Goonies. Each place was interesting in its own way. At the Flavel house, both Kat and I felt the presence of the ghosts on the property. The town itself is an interesting place with a lot of history. On Sunday, when we got back, we went for a walk and made offerings to Oak, Ash, and Thorn, followed by the offering make to Dragon. I felt a bit frustrated in regards to the trees, because I'd had trouble identifying them, so Kat pointed out that I just needed to let myself feel as opposed to think about them and she was quite right. I'd been too busy intellectualizing them. This morning, when I meditated, I let myself reach out to them and I connected to them. They told me the symbols I'd gotten during the weekend workshop were symbols I could use in the space/time magic work I'm doing, and were also meant to help me connect with them. I'm going to meditate on those symbols over the next couple of days. Usually at this time of year, on this day of my birth I transition from one element to another. I've chosen this time around to stick with the element of movement for another year. There's a lot more for me to experience with that element and I'm open to discovering whatever it is I learn. One of the business books I'm reading right now is the Magic of Thinking Big. While I definitely think its a book that applies to business, it's also a book I'd recommend every magician read. 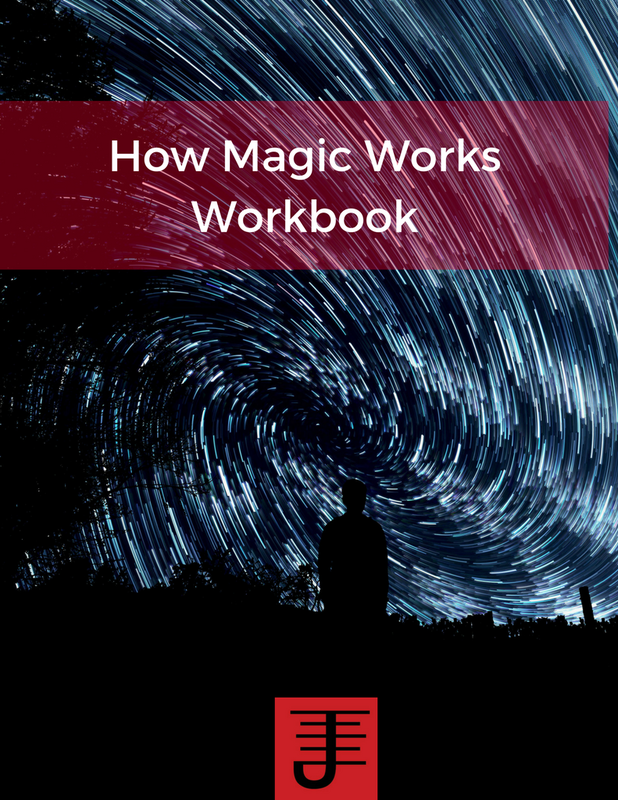 Reading it has been insightful for me in terms of recognizing just how much I already employ the concepts the book discusses in my magical work. The power of thinking big, as it applies to magic, involves the recognition that your thoughts can either limit or broaden your awareness of possibilities. As magicians we use magic to bring possibilities into reality and one of our greatest tools is our ability to envision those possibilities. I've always found that an approach based on positive thinking (which the book espouses) is useful because it allows you to find possibilities as well as question what is laid out before you. My approach to experimentation has always been based on possibility, specifically seeking possibilities out. 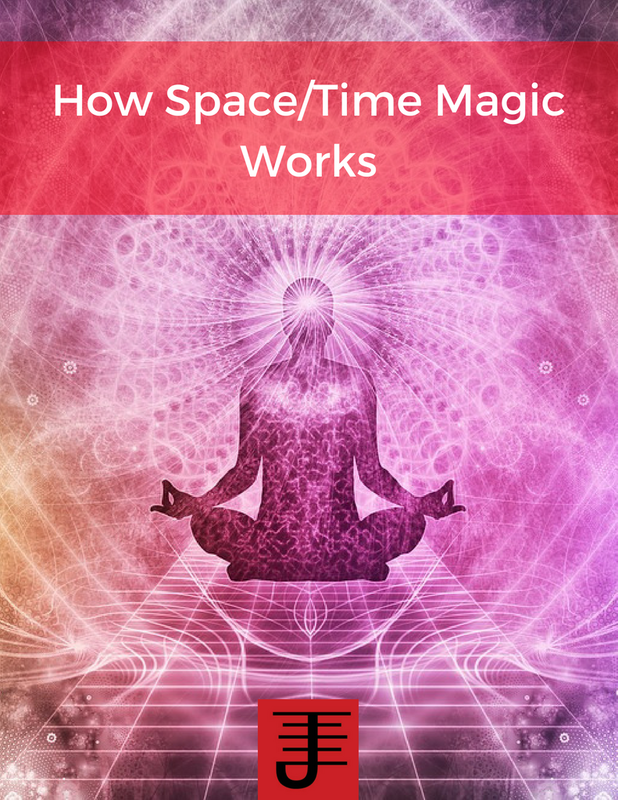 While I have a lot of respect for the ongoing traditions and currents in magical work, I also think its important to examine how magic can evolve with the times and needs. 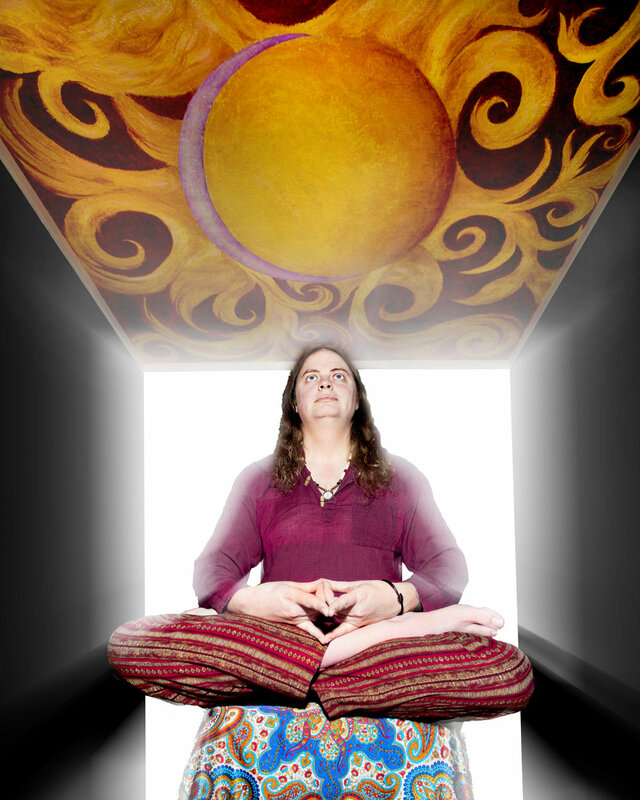 Applying positive thinking to my magical work has always allowed me to see what could occur with my magical practice provided I was willing to explore what might seem like even the most outlandish ideas. There have always been a few people who've argued that such an approach is fluffy or that someone like me is being so open-minded that their brain has fallen out of their skull. Yet I don't think that is the case. The choice to be open-minded and embrace possibilities is liberating because it allows a person to intentionally explore what might work or might not work. There is no right or wrong answer, not when it comes to spirituality and spiritual practice. I suggest that being open-minded, thinking big, can be just as valuable a skill for your magical practice as any other skill. You may discover a way of looking at the world and your place in it that drives you to make changes that truly help you embody your desired possibilities. You may discover possibilities you never would entertain if you didn't choose to look at the world and yourself in terms of the possibilities instead of the obvious realities. the obvious realities are only as really as we invest ourselves into them. An embodied spirituality recognizes the value of the material world and celebrates it and experiences as an inherent part of a person's spiritual evolution. When the body is discarded as dirty or something to be left behind, and desires are perceived as unacceptable or attachments that hold us back, the person loses an essential perspective that is necessary for genuine transformation. The body, desires, etc, ground us and provide a way to experience the immediacy of a situation and learn from it. The body is not a shackle...it is part of our liberation. Recent conversations I've had around enlightenment as well as a continued practice of Tantric philosophy and spirituality prompted this observation. I genuinely believe that the body is an essential part of human spirituality and that the denial of it is a dysfunction brought about for reasons that are related to either over population or to a fixation on an ultimate reward that involves transcending the body. A better approach would be to recognize the role of the body as a mediator of physical existence and spiritual identity. Additionally, people who take this perspective would also carefully consider the consequences their choices have on the environment and each other and thus would question consumerism and explore what it means to have enough vs what it means to live in excess. True liberation isn't found in deprivation or excess but in a balanced perspective that celebrates the glory of life while also cultivating it for future generations. Thus tending your own garden where you grow food is a spiritual and practical activity. It teaches you the value of cultivating life, the recognition of death as a transformative agent that is also part of evolution, and the necessity of using resources wisely instead of wasting them. Your body is part of your liberation, and the sensual experiences it provides is a part of that process, but equally as important is learning how to take care of yourself. Thus exercise is just as liberating as any other activity, and eating a healthy diet is important for cultivating your life. These activities can be just as spiritual as meditation provided we apply a mindful awareness to them. A desire can be liberating both for the experience of it and the choice to not experience it. Longing is as much a celebration of desire as is the experience of the desire, and longing can teach patience but also liberation in terms of recognizing the true value of a given desire. The experience of desire can be a liberating experience provided we know how to enjoy it without allowing it to enslave us. Thus the need for balance and consideration of the body as a spiritual teacher which allows us to embody our desires but also uses them to teach us from experience how best to truly find liberation in our experiences and in our choices to sometimes delay having the experience to know its true value. Meditation. Jason Miller said much the same thing in the Strategic Sorcery Course. I think meditation is the most crucial skill a magician can have. It's something I do as consistently as possible. Occasionally I miss days, and I can always tell when I miss a day because I'm less focused. Meditation is similar in benefit to exercising on a daily basis: It keeps you toned. There are some magicians who will say they can't meditate, but I don't buy that. They can meditate, but they're unwilling to discipline themselves enough to do so and they've likely bought into the popular idea that meditation is just about emptying your mind (that's one form of meditation, but not the only kind). The key is to accept that if you do have random thoughts arise, you don't give up. You note them, maybe even follow them, and then return to the breathing, letting it carry you deeper and deeper into an altered state of consciousness. It takes some work, but if you are consistent about it, you'll succeed eventually. I think one reason people say they can't meditate is that they are so distracted by every thought and emotion, and perhaps even afraid to face those thoughts and emotions. Meditation does give you the chance to work through thoughts and emotions and sometimes its not fun. But doing it frees you of those thoughts and emotions. It gives you clarity, focus, awareness, and perspective. Meditation teaches you to sort through the chaos of your internal reality. It's doing the internal work, so that the external work of living your life and manifesting your magic is a lot easier. Certainly in taking up a dedicated practice of meditation I have needed to do less overt acts of magic, save on the rare occasions where its really warranted. By doing the internal work, my life has gotten much easier. It didn't happen over night, buts it a cumulative effect if you are consistent. So that's the one technique or practice I'd keep. What about you? One of the most mindful practices we can do each day involves finding appreciation for the moment. Appreciation for the moment is really the ability to take everything in without having to filter or label it. It just is. You are one with the environment around you and within you. It's a practice that can be done each day, but it takes discipline to do it, because cultivating such a mindset isn't something that comes naturally to people. Monkey mind is always active, chittering away about random incidents from the day, or wondering when something will happen or who knows what else. An initial approach is to enjoy something beautiful, like a view of the sky or a natural feature such as a mountain or the ocean, something so large that it can create an appreciation for all of you. But you won't always have access to those features. So finding appreciation for the moment can also involve simply taking in the everyday and appreciating it. A walk in your neighborhood can be an opportunity to practice mindful appreciation, or spending time in your garden or doing chores. Allow the activity to define the reality and appreciate it as an opportunity to be in the moment. 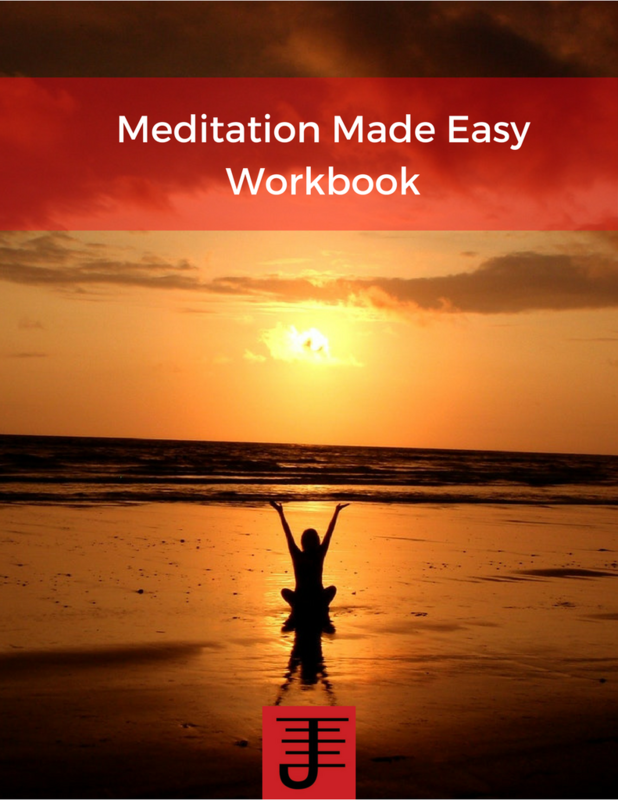 Meditation that's focused in this way involves taking in the world as part of the meditation. You allow the activity to take over for your thoughts. You let the scenery become part of your sense of self. Everything is a reflection of your relationship with the world and with yourself. Te simplest way to practice is to simply take it all in. Let it fill you, lose yourself in the moment.